If you’re looking for a great startup ecosystem in the middle of the country to check out, Louisville Kentucky is one of the top cities on our list. Kentucky has one of the most active Startup America partnerships. They have some great acceleration efforts going on state wide, and they’ve brewed some great startups like Impulcity, WhyWait and Beam just to name three that fall off the top of our heads. That’s why it’s no surprise the folks at Insider Lousiville are gelling off the success of the most recent IdeaFestival. Now that the festival is over they want to continue the forward momentum and spark innovation. To that end Insider Louisville is now calling for social entrepreneurs to pitch their startups for the possibility of investment, incubation, free office space and more. Ideafestival just wrapped up last week in Lexington Kentucky. The four day startup and innovation conference featured a wide variety of panels, keynotes and other resources for just about anyone in Kentucky at any level in starting their own business or startup. As for this call to action by Insider Lousiville, they’re specifically looking for social startups. They are looking for ideas that echo the fundamentals behind startups like Waterstep, a Louisville startup that oversees water purification in third world countries, or the now nationally famous Tom’s shoes that donates a pair of shoes to children in need for every pair of shoes you purchase. 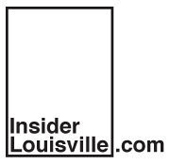 Insider Louisville says that they’re looking for ideas from anywhere and the right idea could result in the startup getting help to move to Louisville Kentucky to build it out. “This isn’t just empty Chamber of Commerce sloganeering. This is a call to action at the nexus where capitalism meets practical, sustainable social change.” Insider Louisville says. Ready to submit? Check the link below.